How far away is this location? 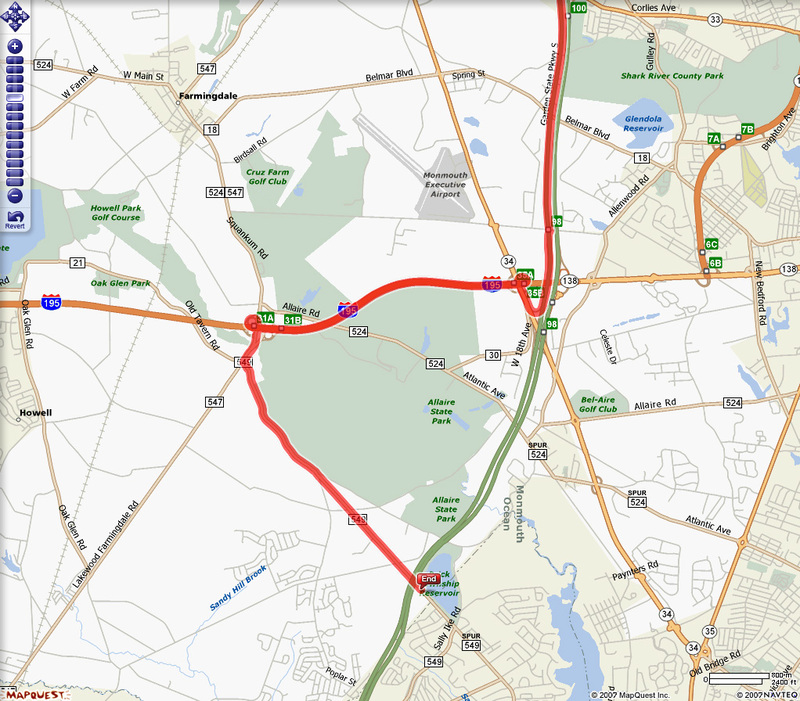 It is about 42 miles from our studio in Metuchen, NJ, and it takes about 47 minutes to get there from the studio. It is about 67 miles from Philadelphia, about an hour and 15 minutes. Click here for MapQuest directions from our studio in Metuchen, NJ. Click here for MapQuest directions from Philadelphia. Our August 19, 2007, workshop will start at 12:00 noon. You should plan to arrive between 11:00 am and 12:00 noon. Take the GSP South to Exit 98. Go 2.9 miles to Exit 31A. Merge onto Route 547 South. Go 0.6 miles and turn LEFT onto Herbertsville Road (Route 549). Go 2.9 miles and turn RIGHT into the first driveway after you pass under the GSP underpass. Leave PA and get on the NJ Turnpike North. Go to Exit 7A and get on I-195 East. Go 25.9 miles and then merge onto Route 547 South at Exit 31A. Go 0.4 miles and turn LEFT onto Herbertsville Road (Route 549).